The private Rebuild Japan Initiative Foundation interviewed hundreds of people involved in making decisions in the aftermath of the earthquake and tsunami that hit Japan a year ago. 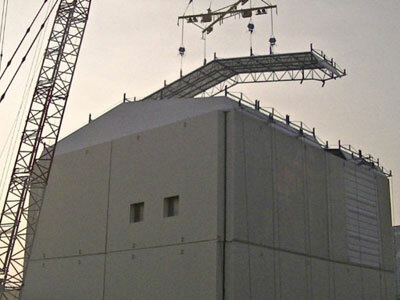 TEPCO itself, which operated the damaged nuclear Fukushima Power Plant, refused to co-operate with the inquiry – but was roundly condemned by others. The report claims that as soon as it became obvious the Fukushima safety systems failed, Masataku Shimuzu, the CEO of TEPCO, phoned the Prime Minister Naoto Kan asking him to withdraw all of his 600 staff from the damaged facility. The meltdowns at the abandoned plant would have quickly spiralled out of control. 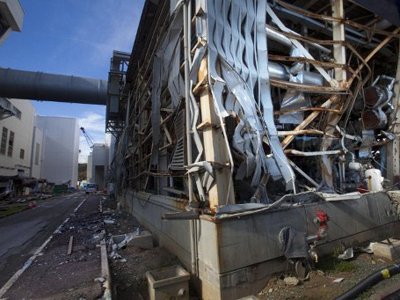 Yukio Edano, the Chief Cabinet Secretary at the time, said a worse scenario, a “devil’s chain reaction” loomed – where the failure of one plant would have triggered similar meltdowns at nearby facilities. “Tokyo would have been finished” he told the report panel. According to multiple interviewees, Prime Minister Kan threatened TEPCO would be “demolished” by the government, and ordered Shimuzu to fight for the plant. 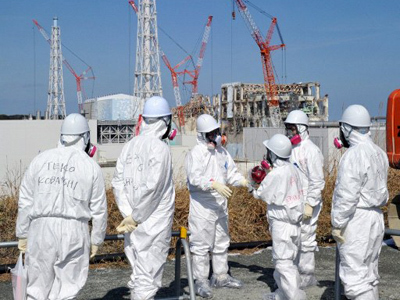 In the end, a core of TEPCO employees – later dubbed the “Fukushima 50” – remained at the plant, cooling the reactors, and restricting the impact of the meltdowns. Masataku Shimizu then went into hiding for several weeks, creating a leadership vacuum and even prompting speculation that he had committed suicide. He has since resigned from his position. TEPCO, which still faces billion dollar compensation claims, is set to be given a government bailout of 11 trillion yen ($137 billion) over the coming decade, and will be nationalized. 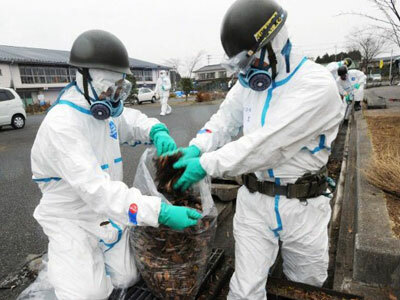 An official parliamentary inquiry on Fukushima – which could see politicians and business leaders charged with mishandling the crisis – is still ongoing.